This event may include resale tickets with prices set by resellers. These prices may exceed face value. "I really see this album as a game-changer for us," Eric Church says of The Outsiders, his fourth album and the follow-up to his platinum breakthrough Chief. "I want people to understand that we're here and that we will be reckoned with." Although Church has already built a reputation as a restless creative force while blazing an unconventional path to country superstardom, The Outsiders represents an audacious quantum leap. The aggressive set, which consists almost entirely of Church compositions or co-compositions, finds the iconoclastic singer-songwriterguitarist covering a dizzying amount of musical and lyrical ground, taking advantage of a wide range of sonic options to construct an adventurous, consistently thrilling ride. The result is Church's most revealing, personally-charged statement yet—and one that challenges many of the accepted rules of contemporary country music. "It was time for us to up our game," Church asserts, adding, "This record is what we've been trying to do all along. We've gotten close before, but this is the first one where we've really been able to just go for it and take it to the next level. We went into this with the feeling of 'You haven't really seen what we're capable of yet; now we can really do some stuff.'" The Outsiders achieves that goal and then some, staking out new levels of musical and emotional depth while channeling the same rebellious spirit that's always been Church's trademark. With his longstanding live band providing forceful, distinctive backup and longtime producer Jay Joyce helping to bring the songs to life with an inventive array of exotic sounds and arrangement ideas, Church delivers some of his most compelling performances to date, while honoring the old-school idea of the long-playing album as a creative canvas, rather than a mere hits-plus-filler vehicle. The Outsiders kicks off in style with the title track, an urgent declaration of purpose that demonstrates the artist's sharper-than-ever songwriting skills, while underlining his deep and enduring relationship with his audience. That anthemic opener is answered by the spare, edgy solo performance "A Man Who Was Gonna Die Young," one of several tracks that emphasize Church's raw, emotionally expressive guitar work. That yin/yang balance established by those two tracks sets the anything-goes tone for an unpredictable sonic excursion that encompasses such far-ranging creations as the rollicking, tongue-in-cheek "Cold One," the groove-intensive epics "Roller Coaster Ride" and "Broke Record," the sensitive, bittersweet "Talladega" and "Give Me Back My Hometown," the organ-driven classic soul ballad "Like A Wrecking Ball," the rowdy, swaggering "That's Damn Rock & Roll" and the slyly evocative story-song "The Joint." Those tunes maintain the combination of emotional insight and hard-headed badass attitude that's long been a hallmark of Church's work. "You get to a point where you feel a little bulletproof," he continues. "I got to a point where I just didn't care about what everybody thinks, and it was just, 'OK, now we're gonna go have some fun.' And our career is in a good enough spot where if we make a fantastic record and everybody hates it and says we've lost our minds, well, that's kind of cool too. 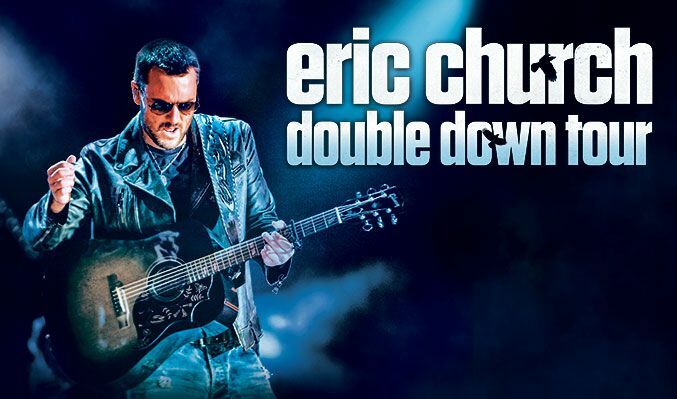 Indeed, the common thread that runs through The Outsiders' eclectic array of sounds, stories and emotions is the independent, uncompromising attitude that's been Eric Church's calling card from the start. Since launching his career with 2006's Sinners Like Me, the North Carolina native has remained true to his instincts, maintaining a stubborn insistence on doing things his own way—an approach that's been reflected both in his musical output and his career trajectory. 2009's Carolina established Church as a star, and 2011's Chief carried him to Platinum sales status, winning such honors as CMA and ACM Album of the Year awards. Although he's no stranger to the country music radio charts with such singles as "Drink in My Hand," "Homeboy,""Springsteen," "Smoke A Little Smoke" "How 'Bout You," "Two Pink Lines" and "Guys Like Me," Church's appeal, and his relationship with his audience, cuts far deeper than garden-variety hitmaking. Beyond its diverse approach, one of The Outsiders' recurring lyrical motifs is the one that inspired the album's title. The image is one that holds considerable personal resonance for Church, and it's no accident that he chose the title song as the album's lead single. "I've always felt like an outsider, and I still feel that way," Church confides. "That feeling is something that you never lose, no matter how much acceptance you get. When you've been burned enough, you carry that feeling with you, and it becomes a part of you. That chip on your shoulder becomes a source of strength, and it drives you to push forward." 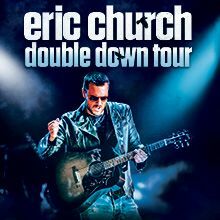 Having already spent much of his career breaking rules, defying expectations and going against the grain, Eric Church has topped himself with The Outsiders. Now, he's interested to see how the music is received, both within the Nashville establishment and in the world at large. "It's an interesting time in country music—maybe in all music—because everything's up in the air and all the genre barriers are breaking down," he says. "With satellite radio, social media and the way people consume music now, people have access to every kind of music, and you just don't run into people now who only listen to one kind of music. People are smart enough to discern what's good, and if the music makes them feel something, then they'll respond. "We're still gonna fit in the country genre, and that's fine, but it's crazy that people try to put all these constraints on music," Church concludes. "Music is universal; it breaks down language barriers and cultural barriers, and it speaks to people's souls on the deepest level. It's all just music, and The Outsiders is a stake in the ground, saying 'This is where we are now..' If it works, all bets are off. And that's gonna be fun." Purchase your tickets here for this event. A new ticketing feature that allows customers to reserve tickets for friends, so that everyone can attend the event together. Purchase your tickets and create the reservation – You only have to pay for your tickets. Reserving tickets is FREE. Invite your friends – After your purchase, you can easily invite your friends via Facebook or email. They'll have a limited amount of time to purchase the reserved tickets! We'll manage the rest and send you status updates when friends accept or decline your invitations. Experience the show together – That's it, have fun! With AXS InviteTM, coordinating with friends has never been easier.